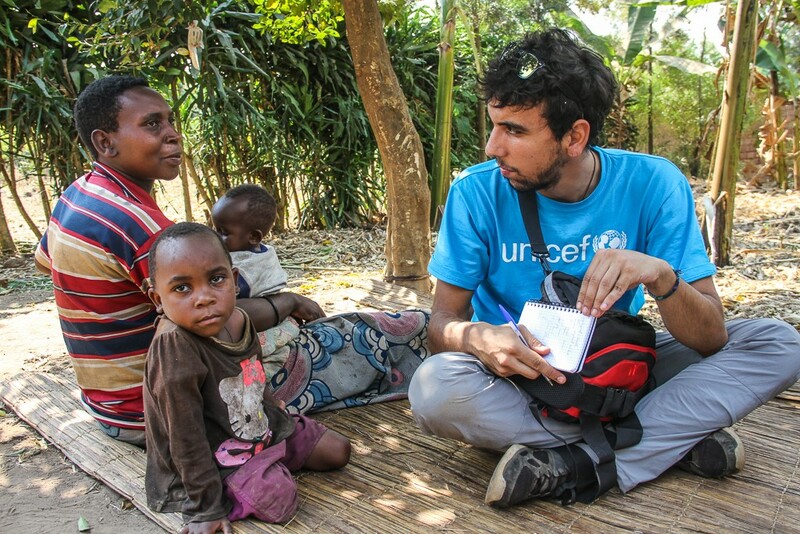 Last April 2016, I arrived in Burundi to serve as a UN Volunteer Communications Officer with UNICEF with a very clear mission: to advocate for Burundi’s children’s rights through the power of storytelling and digital communications. When I first landed to the international airport of Bujumbura to work as an international UN Volunteer for UNICEF, I realized the situation in the country was highly volatile. One morning after just seven days in the country, I heard shots and gunfire in the streets not far from my home. It was a bit scary and I fully understood the difficult and challenging context that international workers have to face to do their jobs in countries like Burundi. Since the onset of the political crisis in Burundi in April 2015, political violence has led to an increasingly fragile environment for children, with regular reports of child rights violations, including injuries, deaths, and detentions. Despite all the hardship, it was my goal to put my capacities and professional experience at the service of young Burundian girls and boys to improve their lives. In my assignment I focus on digital communications and multimedia storytelling to engage with the audience and truly give voice to the voiceless. To advocate for them, I tell human stories that happen here daily to increase public interest and drive support for vulnerable children in Burundi. It was in these circumstances that I met someone I will never forget. His name is Aimable. He is an eleven year old boy who had lived in the streets of Bujumbura for 7 years, seeing things a child should never see. During the interview, he shared with us the hardship of the days living in the street with his brother. The most shocking event he shared with me was a time when he discovered a dead body in the street. Fortunately and thanks to the intervention of UNICEF and partners, this remarkable young boy now is back to school and reunited with his family. His story had to come out, so we decide to feature him in a video story. The impact of the story awakened the interest of people at international level, triggering global talks and online discussions about children in Burundi. I received messages from colleagues asking how they could help. They showed their concerns about the reality that Burundian children like Aimable are facing to survive, in a place where already before the political crisis, it was difficult to be a child. Supporting the most vulnerable for a better future. One of our goals at UNICEF is to end all transmission of HIV from mothers to their babies. To support this goal I visited a health center during a field mission to collect testimonies and photos from mothers and children who are HIV positive. As a journalist by training, I know to always prepare an interview in advance, but this time, faced with such personal and sensitive stories, my questions needed to be reformulated. The lesson of courage and resilience I learned from these mothers and their children, made me feel very small and quite ignorant. That day, I was touched by the challenges that life is manifesting and the courageous decisions individuals develop to respond to it. I absorbed what it means to fight the difficulties that life hides and how to face the future without fear. I am one of more than 6,700 UN Volunteers deployed in 121 countries that are dedicating their lives to make the world a better place. Inside our country office in Burundi, internationals and nationals work together to ensure that UNICEF continues to promote the rights and wellbeing of all children in Burundi. Within our team, I have the chance of working with another UN Volunteer and an incredible human being, UNV Youth Engagement Officer, Yves Nijimbere. In the field and on a daily basis, we both represent what differentiates us as United Nations Volunteers. Beyond our technical skills in communications, social media, photography or online narratives, we have an additional responsibility: contribute to peace, justice, and development worldwide. This time, to improve the lives of children of Burundi.